We have recently migrated Material World to a wordpress template which has given us a lot more functionality and flexibility with the kinds of things we can do. We are hoping to experiment a lot more with images, sound, and video so please be experimental and expansive in thinking about how you might contribute to the site! I’m using our new capacity to have locally hosted and embedded slideshows to share a series of images of the National Museum of the American Indian that I took in January, 2012. I was teaching a graduate seminar in the Anthropology in and of Museums this semester and was struck by the lack of good installation shots of the displays in the media commons of flickr, the museum website and so on. My photos aren’t great either, but will hopefully add to this resource, providing a snapshot of the different display strategies at work in the Museum. We had many conversations about the kinds of strategies at work at NMAI. They certainly complicate the by now tired dichotomy of Art/Artifact. Displays are highly aestheticised and draw on the universality of art as a valuable frame of appreciation. At the same time the emphasis on historical context and collaborative, subjective curating is also embedded into this aesthetic, not simply as a frame but as part of the display. 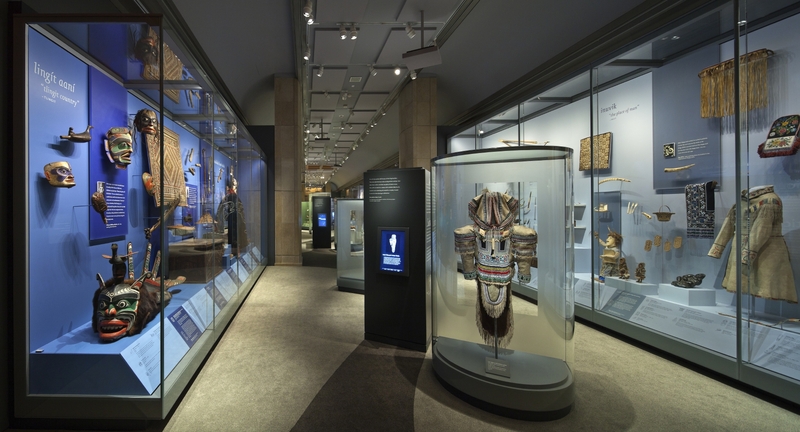 I know that the DC installation was criticized in the media and that there is a general feeling that the exhibition, Infinity of Nations, now on display in the NMAI in downtown NYC is a model for how to do things in the future. That display is much more stripped down than the exhibits in DC. TRaditional Cases allow you to appreciate beautiful objects. Interactives are selectively used as inroads into leaning more about singular objects. Brief labels are contextualized with first person narratives, bringing the voices not only of contemporary Native Americans but also historical figures of importance into prominence. 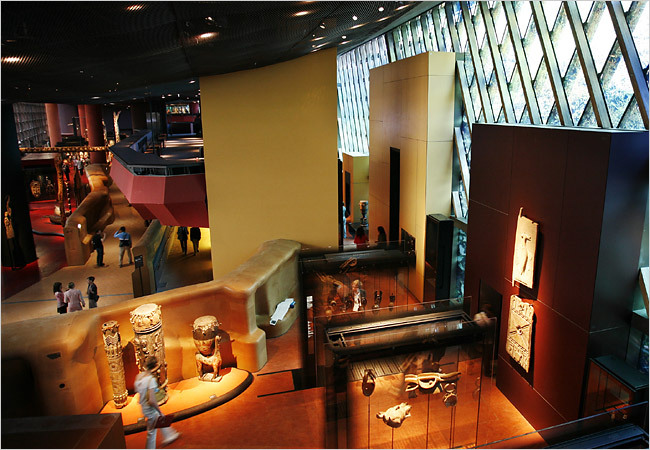 Compare this aesthetic to another major museum displaying the work of Native, and so-called, Non-Western, art and artifacts, le Musee Quai Branly, in Paris and you get the sense of how NMAI should in fact be a more global model for the display of cultural art(facts).